Japanese-born artist Michiyo Ihara uses only paper and pencil to create artwork that expresses the complexity of the universe. Beginning at the center of the white paper, she makes her first mark. Building outward with amazing skill and intricacy, she rotates the paper to continue the drawing. Each tiny symbol, sometimes animal, plant or planet, exists within a cell-like membrane. One little universe begets another as they grow outward in a beautiful, imperfect near symmetry. 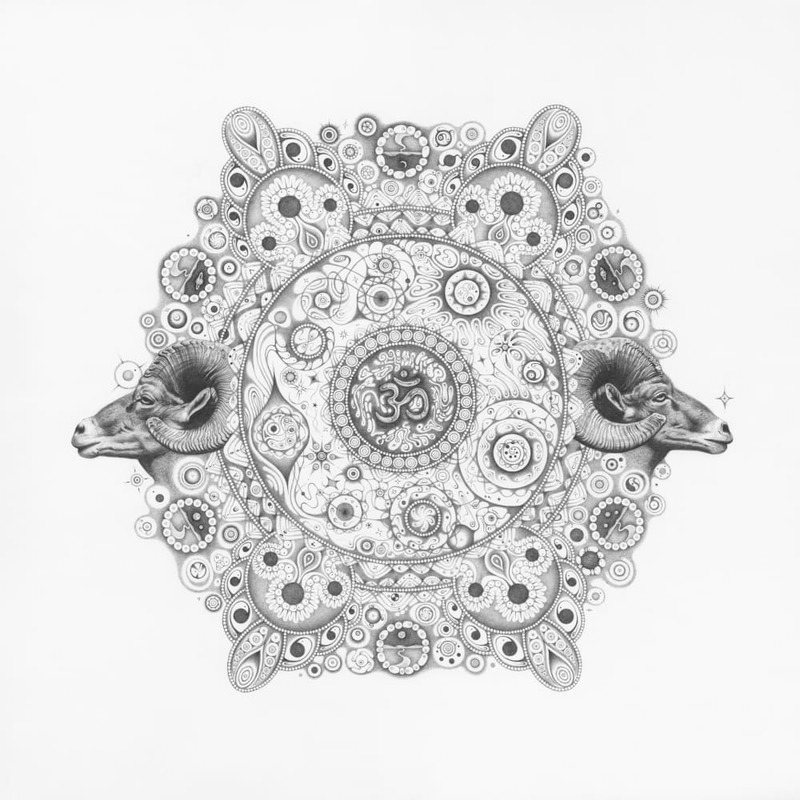 Ihara begins each drawing title with the word snowflake to reference the infinite and unique possibilities of creation.